I’ve had so many fun shoots to share, I’ve been wanting to share this wedding album design for a while. So as February comes to an end and warmer weather starts coming in, it begins to feel more like spring – and that means that couples are getting engaged. 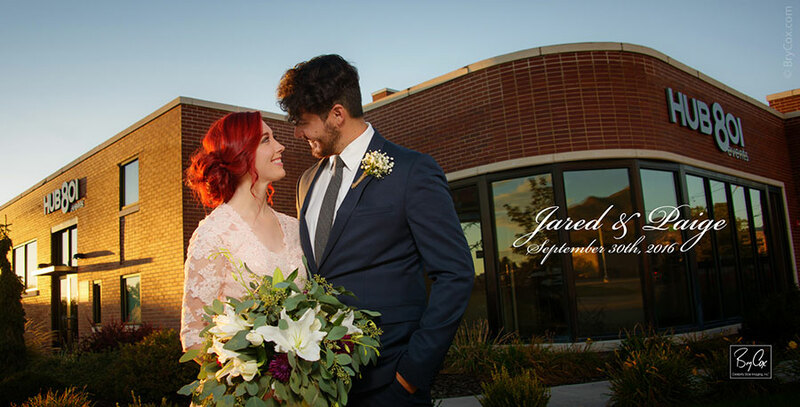 So it’s a great time for me to share this wonderful wedding and album design from Jared and Paige’s wedding, held in Ogden Utah at the Hub 801 Events Center. You may have seen some of their early sneak peek images. But now, here is their entire design, in a movie/slideshow format. This is best viewed large, full screen and in HD (if your internet connection allows). 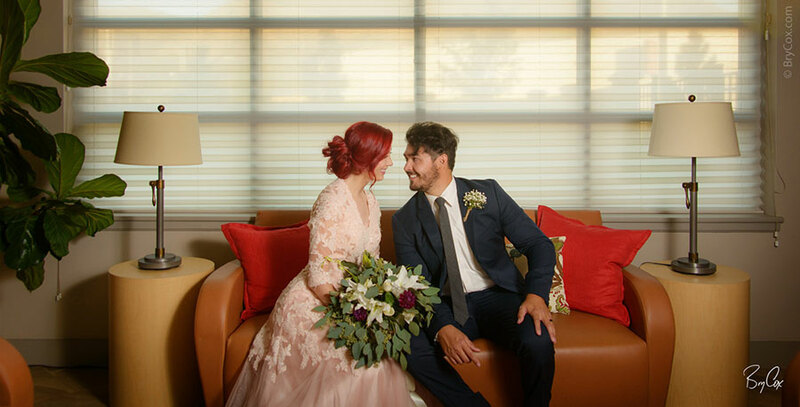 There is so much more that can’t fit in an album, and I actually make a larger video slideshow for my wedding couples that show the full wedding story, showing all the other images. I won’t share it here because those shows are very long. To balance size and cost, wedding albums highlight the the most impactful images from a couple’s wedding day story, with the images being as large as possible so that they can be seen and enjoyed. 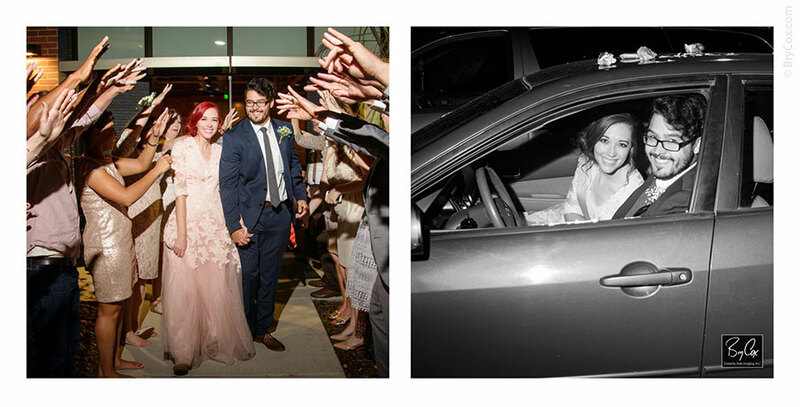 One of the hardest parts of a wedding is cutting the images down to the best of the best for the album. if I included everything I loved, the albums would be very large and expensive. But the good news is that I include digitals of all the other great images that don’t make it in the physical album. Here is one such set of images, a series of me doing a warm-up routine with the kids using my little stuffed bunny. I do this so that the kids aren’t scared or worried about me later when it comes time to photograph them. That way when it comes time to photograph them, I can just interact with them and get real expressions that are truly authentic and captivating. Normally I don’t get pictures of me doing warm ups like this, but there happened to be a mirror opposite me. With my light already set up, I was able to get a few shots off-hand of this little girl climbing up on the couch and suggesting that we “put our heads together” and cooperate to keep my bunny from falling off my head. And here are some of the wedding album page designs fro the album. First, opening the book with a great, romantic image that establishes the location of the wedding. 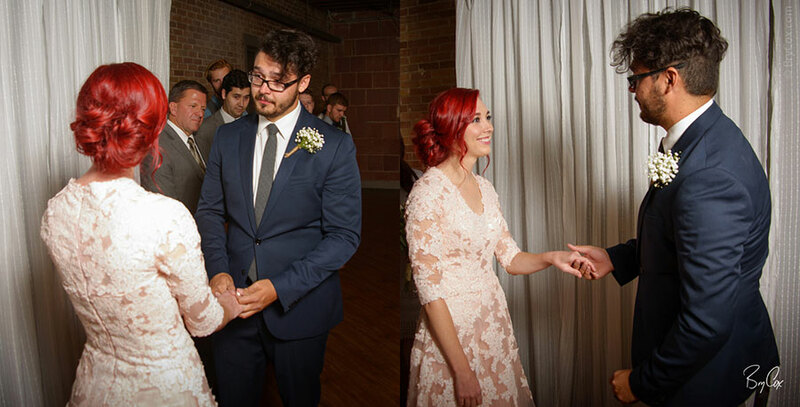 Here are some of the wonderful moments from the wedding ceremony. 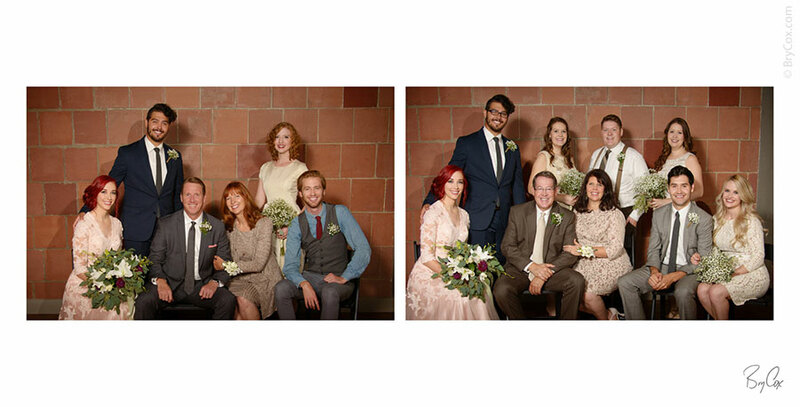 I always love to get some updated family photographs of both sides of the family. 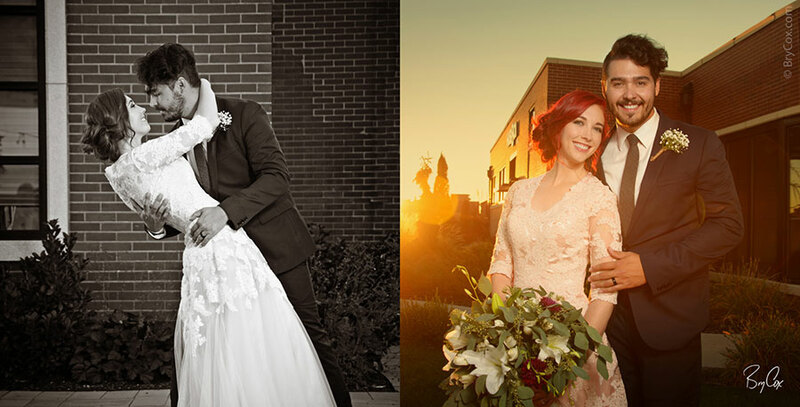 And of course the creative and romantic couple portraits. We did a variety of indoor and outdoor photographs, even using the city’s setting sun in some images. And the album closes with them running off and driving away. These are just some of the wedding album spreads, so to see the entire design, watch the movie above. 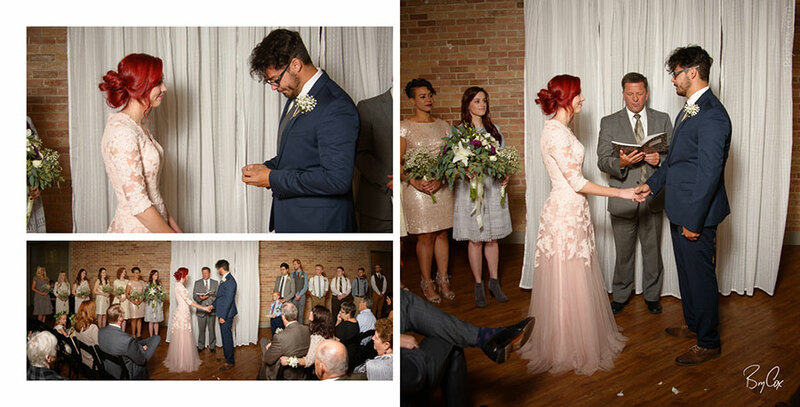 Jared and Paige’s album was delivered in a beautiful box and case that utilizes a clear, magnetic top. It’s great for display, but also protects the album when it’s not in use. And feel free to check out my main website at BryCox.com as well as my blog here that shows tons of past weddings.